Largely because of the state’s refusal to submit law, Florida has one of the lowest Breathalyzer test refusal rates in the country. Refusal cases are difficult for prosecutors to win, partially because they cannot use the state’s powerful per se law and partly because there is only indirect evidence of intoxication. Typically, such evidence comes from the three Field Sobriety Tests that the National Highway Traffic Safety Administration has approved. Peace officers sometimes use unapproved tests, such as the finger-to-nose test, basically to mentally and physically fatigue defendants so their performance is worse on the tests that matter. An aggressive DUI lawyer will point out this fact to the jury, which will them probably consider that element as it evaluates the tests. But calling out this sneaky law enforcement tactic is not the only way to challenge the FST results. Typically, four or more clues indicate that the person has a .08 BAC; two or more clues usually indicate a .04 BAC. Commonly, officers administer this test on the side of the road. It’s dark, cars are whizzing past at high speeds, the defendant is extremely nervous, it’s difficult to hear instructions, and squad car lights are flashing in the defendant’s face. Moreover, defendants must often walk imaginary lines as opposed to actual lines, like parking lot stripes. Finally, although officers are supposed to give defendants a chance to remove their shoes and ensure that the area is sufficiently lit, they do not always make these accommodations. All these deficiencies can affect the test results. One issue here is that not all clues are equal, yet officers treat an almost imperceptible sway the same as literally falling over. But the jury, not the arresting officer or prosecuting attorney, determines whether the defendant “passed” or “failed” the test. At certain angles, individuals with nystagmus are unable to track moving objects with only their eyes. Alcohol causes nystagmus, but then again, so does epilepsy, fatigue, certain medications, genetic deformities, and the list goes on. Roadside HGN tests are almost inherently unreliable. In the darkness, it’s almost impossible for the officer to see the tiny eye spasms that serve as clues of intoxication. Some of these tests are harder to challenge than other ones, but bear in mind that an attorney does not have to refute all three tests, because the defendant does not need to “prove” innocence. Rather, the defendant must only create reasonable doubt in the mind of one juror. 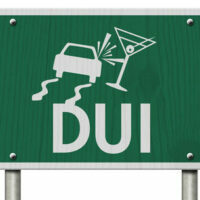 DUI field tests are far from conclusive proof of intoxication. For a free consultation with an experienced criminal law attorney in Tampa, contact The Matassini Law Firm, P.A. We are eager to assist you immediately.